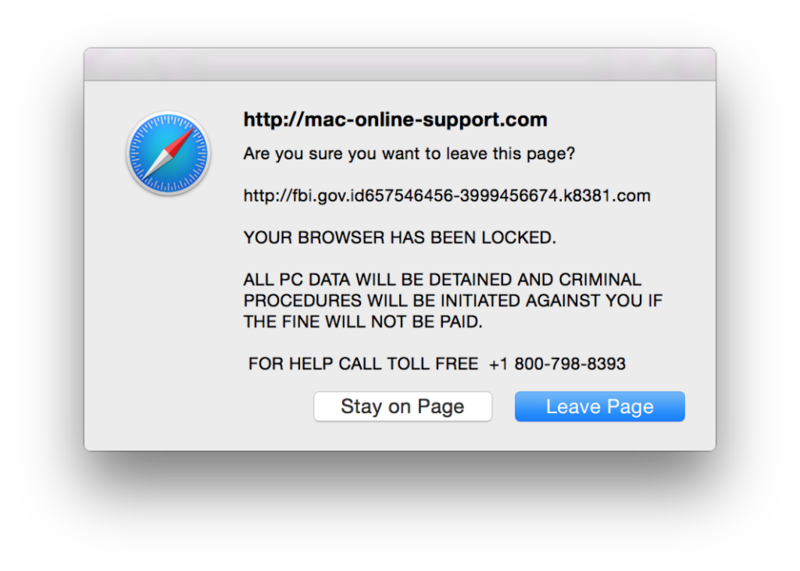 Be aware of a myriad of bogus pop-ups that might appear when you are visiting web sites. Typically these pop-ups contain messages that indicate that your computer has been compromised or some sort of security issue has been detected. Often the message include a phone number to call to get assistance. Furthermore, these pop-up windows are often difficult to dismiss and they hijack control of your your web browser, so you can’t view any other web pages. 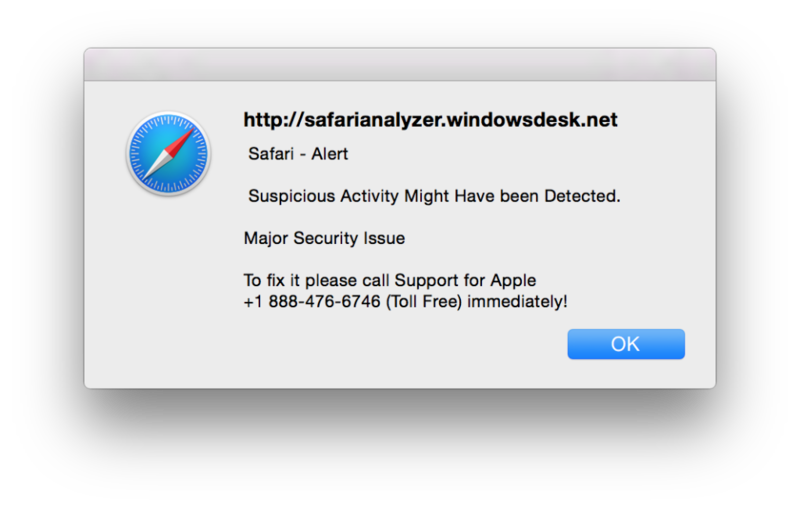 First, please don’t believe the messages listed in these pop-up windows. Whatever dire warning is listed, it is not true. The FBI has not locked your computer. Microsoft has not detected a problem with your computer. Please do not call the phone number listed. I’m not sure what you’ll be told by the person you call, but I’m sure it won’t be true. They might offer to help you for a fee and thus they might ask for your credit card number. Please don’t give them your credit card number or any other personal information. The steps listed below will typically get rid of these bogus pop-ups and help you to regain control of Safari or whichever web browser you’re using. Click on the Apple menu, select Force Quit. Click on Safari in the small window that appears on your Mac’s screen. Click the Force Quit button in the lower right corner of the small window. You’ll be asked if you want to force Safari to quit. Click the Force Quit button. Hold down the Shift key on your keyboard and click on the Safari icon on the Dock to re-open Safari. Safari should open and you should be able to use it. The bogus pop-up window will not automatically appear. Please try to avoid whichever web site you visited that caused this pop-up to appear in the first place. Consider installing ScamZapper to avoid getting these bogus warnings in the future. This web page lists instructions for installing ScamZapper. A more detailed listing of options and instructions for dealing with these pop-up windows can be found here. Tidbits has a very thorough article about these scary, bogus warnings and instructions for dealing with them if you use Firefox or Chrome, rather than Safari. Below are two examples of what these bogus pop-up windows look like. Read more about bogus alerts, pop-ups, scams.